A villa holiday doesn’t have to be the preserve of those with a brood in tow. 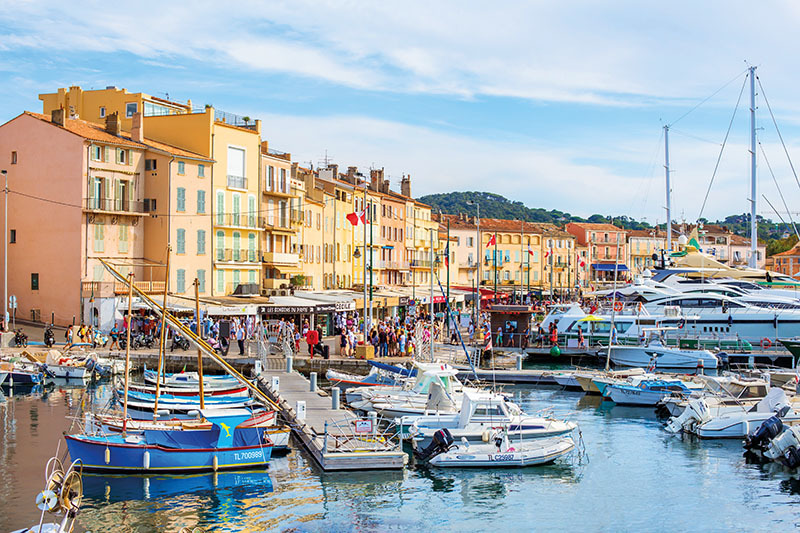 Abigail Healy heads to France’s Sainte Maxime on a grown-up getaway with Summer France. Summer France can accommodate guests on short breaks, which works well for groups trying to coordinate busy schedules and limited leave days. Villa getaways are often heralded as an ideal family summer holiday. Long days around the pool while the kids throw themselves in for the umpteenth time and the adults enjoy alfresco evenings sampling bottles of local wine once the younger ones are suitably exhausted. But they can work equally well for a grown-up group looking to catch up in a relaxed setting, as I discover on a family break of my own but one of an altogether more grown-up variety – celebrating my sister’s 30th birthday, with my brother and husband also in tow. We head to Sainte Maxime on France’s Cote D’Azur, where French villa specialist Summer France made new additions to its portfolio last year. Les Residences des Restanques du Carre Beauchene is a collection of one-storey, three-bedroom houses, each sleeping 6-8, that snakes up a steep winding hill, affording guests plenty of privacy and views of the undulating Provencal countryside. As well as a typical week or two-week stay, Summer France can accommodate guests on short breaks, which works well for groups trying to coordinate busy schedules and limited leave days. Travel time to Sainte Maxime is about an hour-and-a-half flight from Gatwick to Nice followed by a one hour, 15-minute drive, so having left London in the morning we’re relaxing around the pool, glasses of local rosé in hand, by mid-afternoon. We visit in September when the mercury is still up in the high 20s – a welcome respite from the increasingly autumnal weather in Britain. It’s perfect for spending days by the villa’s pool – lolling on loungers in a manicured garden with purple bougainvillea and architectural olive trees – or sunbathing on one of the local sandy beaches. Nartelle Beach is a favourite – a five-minute drive or 30-minute walk from the villa – and has some interesting Second World War history surrounding the liberation of southern France. It’s a long sandy stretch out of town, so quieter than the beach in Sainte Maxime’s centre, and has a mix of public sections and those owned by beach clubs where you can enjoy a long lunch or rent sun loungers – though warn clients they do come with a premium price tag. We try Barco Beach with its coastal-themed turquoise and white decor and Asian-fusion menu. Given that we’re in Provence, naturally lunch is washed down by ice-cold glasses of the palest rosé. We are celebrating, after all. Further down the sandy arc, Prao beach club is a buzzing evening hotspot with a DJ spinning chilled anthems that gradually segue into party hits as the night draws on. We’re grateful for the fresh delivery of buttery croissants, delicious pain au chocolat and crusty baguette that arrives at our villa, courtesy of Summer France, the next morning. Sainte Maxime is located across the bay from playground of the rich and famous, St Tropez. We can’t resist a trip to ogle the superyachts and soak up the glamorous vibes. Having no yacht of our own, we improvise with Bateaux Verts, which provides a more practical shuttle service that runs four times an hour from Sainte Maxime port to St Tropez, taking just 15 minutes. Summer France reception staff can direct clients to the embarkation point and explain how to buy tickets. Once in the domain of the super rich, we explore the streets lined with shuttered facades, gawp at the megayachts in the harbour – googling their price tags for fun – and walk around the seafront until we’re ready to head back to Sainte Maxime where the beaches are sandier and quieter, and a drink is considerably cheaper. Our short break is mostly spent playing games around the pool, sunbathing on the beach and exploring the local towns. And the villa is the perfect host. As well as all the outdoor space, there’s a large living area with kitchen and three double bedrooms so there’s plenty of space to spread out – essential for a family break, whether occupants are big or small. Laforge says guests are increasingly demanding the full package when it comes to villa holidays. For those on a longer break there are plenty of activities to provide added entertainment. A nearby golf course looks challengingly vertiginous while down by the beach there are watersports outfits and a short drive from Saint Maxime are a couple of wineries which look as though they would make for an enjoyable day out. On our final evening, as the sun turns the sky a pale dusky pink, we all agree that our short break has been the perfect way to make a celebratory weekend extra special but, as our exploration has revealed, Sainte Maxime and its surrounds could have held our attention for far longer. Book it: A week’s stay at Les Residences des Restanques du Carre Beauchene costs from £549 for a three-bedroom villa, sleeping up to eight. Set in Provence’s Luberon valley the club has apartments with premium service and is located next to an 18-hole golf course. Linen is provided, beds are made on arrival and guests receive a welcome hamper and fresh drinks on arrival. Book it: A week’s stay costs from £174 for a one-bedroom apartment sleeping four. These beautiful villas in Moliets-et-Maa in south-west France have private pools and gardens, set just over a mile from the beaches and 800m from the Moliets Golf course. Other local activities include surfing, stand-up paddle-boarding, cycling and a high-ropes course. Private parking is available, as well as linen, towels, TV rental and a welcome hamper for visitors in July and August. Book it: A week’s stay costs from £363 for a three-bedroom villa sleeping eight. In the Vendee, just south of Brittany, these villas, set within 16 acres of preserved parkland, offer easy access to the shops, bars and restaurants of Saint Jean de Monts and its sweeping shores. Each accommodation has a large living room, well-equipped kitchen, private pool and garden, spacious terrace and individual parking. Book it: A week’s stay costs from £226 for a two-bedroom villa sleeping four. Where are your clients keen to visit on a villa break this year? Are you seeing lots of demand for this type of holiday? Email feedback@ttgmedia.com or leave a comment below.